Help us expand the world’s only international online graduate surgical care program. Have a profound impact on increasing the number of skilled and knowledgeable surgeons working in disadvantaged regions of the world. In order to build on the successes of our courses, the Branch developed a Graduate Certificate in Global Surgical Care that launched in September 2015 and now anticipates soon launching a Master’s program, the only one of its kind in the world, pending final approval. We already know that many of our SURG course alumni and others are eager to pursue full- or part-time careers in international surgical care. 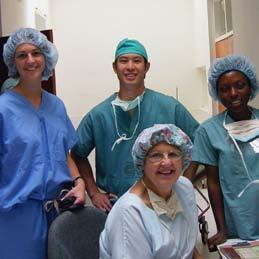 Surgeons and residents have little time to spare, so the academic training we wish to provide is in a format – primarily online, with a practicum component in the field – that enables them to keep serving their community while also receiving valuable training that enhances their ability to bring their practice and skillset to low-resource settings. Your donation provides critical support to the only program of its kind seeking to address the global need for surgical care in vulnerable and underserved communities of the world. Support continued expansion of our partnership with Reconstructing Women International and our shared vision of realizing surgical care access across the globe. 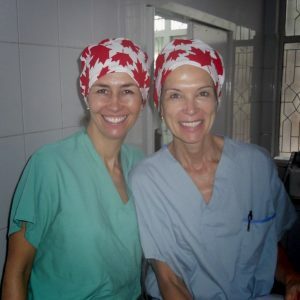 Help local medical facilities and international women plastic surgeons collaborate to deliver treatment together. Have a profound impact on women suffering from injuries and trauma often inflicted on them as a result of their ethnic background, social traditions, or environmental conditions. Reconstructing Women International is a charity program supported by female plastic surgeons whose goal is to help women suffering from disfiguring or socially excluding injuries and trauma, with the goal of enabling such women to continue on to lead happy and prosperous lives despite their injuries and trauma they have suffered in the past. We are pleased to be partnering with the Reconstructing Women International Organization through the continued dedication of our advisory committee member Dr. Nancy VanLaeken, who has for the past two years held fundraisers to help support work in India. This year, we are excited to join her in hosting the Reconstructing Women International 3rd Annual Fundraiser.